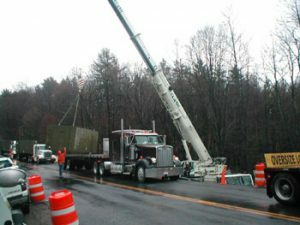 Hager Engineering provided the hydraulic bridge jacking procedure for this NYSDOT emergency project. 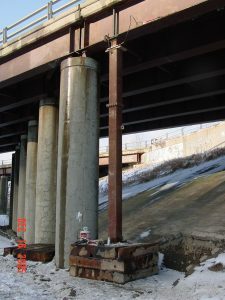 The steel girders underwent emergency repairs of the webs and stiffeners. 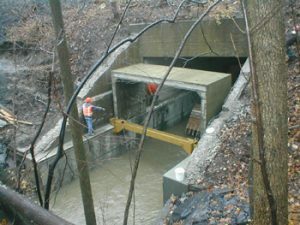 Hager Engineering provided the precast concrete culvert lifting procedure, and designed the special apparatus for sliding the 16 ton pieces into place. 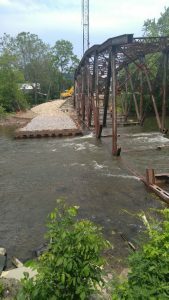 Hager Engineering provided the bridge demolition procedure, Cofferdam design, excavation support for new pier construction & beam lifting plans for this bridge replacement project.